DJ Deej and DJ S-Goods were back at it this week, going with a more chill vibe. Besides Laurier Homecoming, quite a bit happened in the world of entertainment between Friday and Sunday. 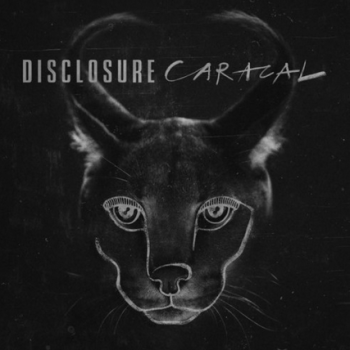 On Friday, brotherly dance duo Disclosure (lots of alliteration, sorry) released their sophomore album, Caracal. There are tracks featuring The Weeknd, Years & Years, Lorde, and Miguel, to name a few. DJ Deej is a huge fan of the pair and says that she prefers this album over their debut album, Settle. She enjoys each track, because they are all so different, and boldly stated that this is, “the dance album that we all needed, simply because it is not just a dance album.” Take a listen, and perhaps you will agree that there is something for everyone. DJ S-Goods loves all of the singles that have been put out over the course of the album announcement, and she plans to listen to it as a collective. Nicki Minaj has also announced her intention to join with ABC Family in the creation of a television comedy about her life as a child growing up in Queens, New York. In her younger years, Minaj studied acting, but she won’t be on screen. Instead, she intends to be an executive producer for the show, which has yet to be named. We asked our Twitter audience if they would watch the show; S-Goods is intrigued, and Deej gave a flat-out, “absolutely not.” Maybe this will be a topic of later debate? We’ll see. Back to Cali (Yinyues Remix) – The Notorious B.I.G.